Schaefer Pumps with Franklin motors have served us and our customers well these many years. The relationship we have with our vendor is long lasting and professional. They honor their 3 year product warranty without fail, which is a quality we appreciate, as you will as well. 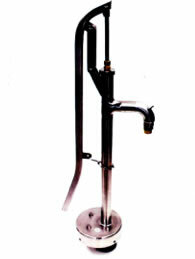 Well pumps range from 1/2hp – 10hp on 4″ models. 15hp and up for 6″ models. There are many different sized pump ends to fit the selected motors for proper water and pressure output. We like it for the overlap of products it provides so only the right well pump configuration is in your well. These hand pumps are not novelty hand pumps. They are designed to provide the water you need when other methods can’t. Power outages, well pump failures, it won’t matter. 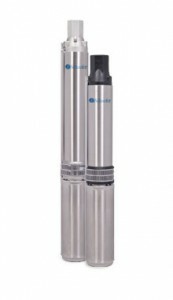 These pumps are built from stainless steel and designed to perform for years. Aesthetically pleasing, these pumps will always stand ready should they be needed to provide sustaining water. These pumps are mechanical and operate without electricity. The Cycle Stop Valve is one of several patented pump control valves that makes a variable flow, constant pressure pump out of most standard constant speed pumps. (CSV) automatically chokes back the output of a pump to match the users demand for water. It is completely mechanical and pressure actuated. No electricity required.